BRIDGEPORT, CT – July 10, 2008 – The City of Bridgeport’s Department of Parks and Recreation have retained Northeast Horticultural Services to work with twenty 12-14 year olds enrolled in the town’s day camp which features a new educational program this year called Park City GIS Tree Mapping Boot Camp. This program offers campers the opportunity to use state-of-the art technology to identify the latitude and longitude of the trees in Seaside Park. Through a grant issued by the State of Connecticut, the town was authorized to hire a tree expert to work with the newly purchased Geographic Information System (GIS) that identifies and maps trees using a handheld Global Positioning System (GPS). The program will begin in Seaside Park with plans to expand to Beardsley Park. 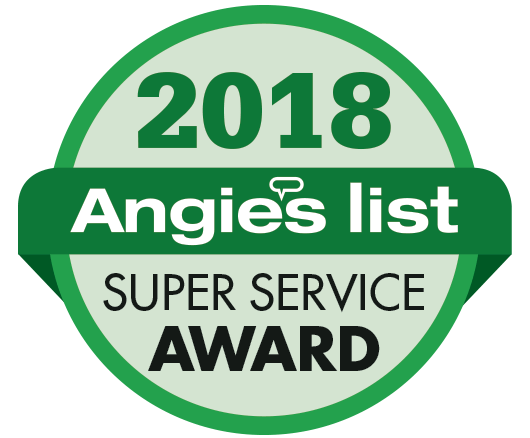 Northeast Horticultural Services was selected for their deep knowledge of plant care, landscape design and property maintenance and their ability to maximize the health, longevity and beauty of plants, shrubs and trees. Owner, Stacey Marcell, is a licensed arborist and degreed horticulturalist, with a B.S. from the University of Wisconsin in Madison. She is strongly committed to organic maintenance and is meticulous about choosing the right plants for the location and maintaining their care with eco-friendly solutions. Under the direction of Steve Hladun, Project Coordinator for Bridgeport Parks and Recreation, the program began on Wednesday, July 9, 2008 at Seaside Park. Stacey and the campers were delighted when Mayor Bill Finch joined the group to kick-off the project. 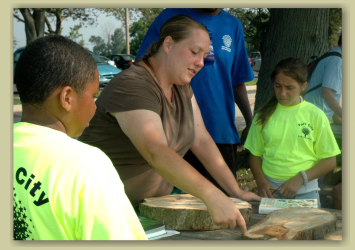 Stacey brought samples of cut trees and helpful books to get the children started. The kids where divided into four groups, each charged with their own set of tasks. Using maps of the park, each group traveled from tree to tree defining multiple characteristics from the type and dimensions to how deep they were planted. Stacey carried a species book and asked the children to identify the trees. They recognized a Green Ash from the size of the leaves and determined the age of one the trees by the number of rings it had. Stacey used simple analogies to make it easy and fun for the kids to measure certain attributes. For example, to estimate the height of a tree, Stacey stood next to a tree and said, “I am five feet, eight inches tall. How big do you think this tree is?” It turned into a competition of who could guess the closest. Stacey even taught the kids about the damage that the tree has endured including weed whacker damage. The kids decided whether or not the trees were too close to sidewalks and susceptible to “foot traffic.” While Stacey pointed out the problem areas, the kids took notes on the trees Stacey needs to restore. The last part of the process was to map out the latitude and longitude of each tree in the park. For this, the kids used a special handheld GPS controlled by satellites called a Geographic Information System. Stacey, Steve and the kids stood underneath each tree and mapped the coordinates for the trees while the others recorded the data on the map. Then Steve entered the information into a spreadsheet on his computer so they have it on file. The lessons that Stacey Marcell, Steve Hladun and Mayor Bill Finch taught the campers that day will be the first step in helping Bridgeport’s trees grow. Stacey will continue to plant more trees in the area as well as fix and nurture the ones that have been damaged or planted improperly. Special thanks goes to Chris Donnelly from the Connecticut Tree Protective Association and Jeff Ward from the Connecticut Agriculture Experiment Station for their support and contributions to this program.